Have you developed the perfect business blog, but you are still struggling to find new content? You want to deliver creative content that will give your blog the “wow” factor, but no topic seems to fit the bill. Regardless of your niche, it can be quite a daunting task to narrow down creative content that has not already flooded the internet in a variety of different forms. So, exactly how do you find blog ideas that have not been created online yet? 1. Look around at trending hashtags. Hashtags, most commonly used on Twitter and Instagram, give you a first-hand look at topics actively being discussed around the globe. Take a look at Twitter and see what is trending – this could also give you some insight as to what your keyword should be. Create content around the Twitter hashtag you have chosen best fits the bill for your blog. Hashtags provide a great opportunity for you to add commentary on trending topics and help to shape the discussion around them. Once the post is up, promote it on Twitter also using the hashtag to help increase site views. 2. Steal a competitor’s search term in Ahref’s keyword explorer. Then, plug their keyword into Ahref’s keyword explorer and begin a blog creation of your own. While searching, specifically look for long tail keywords that don’t yet have an article created around them. This is a great way to basically have a topic idea handed to you, as the keyword will most likely be your general focus for the post. You might find that, while everybody and their mother has written an article about SEO, far fewer people have written about building and maintaining relationships with bloggers. Continue to niche down until you have a previously uncovered topic. 3. Ask what your readers would like to see on your blog. When asking readers, you are getting ideas from someone who is looking in from the outside. Sometimes, the greatest barrier to content creation is ourselves – we do our business day in and day out and it can be hard to overcome writer’s block when it comes to being creative around things we do every day. Chances are, your reader has already searched for a blog on the topic they are proposing and failed to find what they were looking for. As an added bonus, you can almost guarantee they will be a reader of that post if their idea is chosen. 4. Check out offline sources. Sources such as brochures, magazines, or newspapers – any print content – are just online blog content waiting to happen. Online content can be adapted for print content and vice versa. Take a few ideas from whichever print content best suits you, then incorporate keywords to promote an SEO-rich article that features authoritative links, backlinks to your site, and a click-bait headline. 5. Create sub-topics for popular blog posts. If you already have an authoritative blog post that is bringing in the views, try creating a sub-topic for it. This allows you to already play off the success of your previous post. Google looks favorably on a new article on a site with established topical relevance, so by writing more about a topic of yours that has already been favored by Google, you have a better chance of showing up high in the SERPs (search engine results pages). For example, if your site already ranks in Google for terms related to cats, then ranking new cat articles is going to be easier than ranking articles about, say, motorcycles. 6. Identify experts in your niche and interview them. Unless you directly copied a previous interview with this specific expert, you will most likely not ask the same questions and they will not give the exact same answers. Finding an expert in your niche is not only a unique approach to a blog post, it is interactive as it displays conversation which further engages the readers, and it is also highly informative and authoritative. What better way to demonstrate knowledge then by have the content come from the expert themselves? Highlight how your company can help in those areas, what you know about those areas, etc. 7. Refute a trendy topic. Obviously, don’t refute something you agree with. Incorrect, trending, and you can ethically refute it – this is a great opportunity to show your knowledge and authority. The topic is already trending, so by engaging in it, you can generate some serious traffic. While we have all experienced the frustration of a need for new content, but no ideas, you don’t have to settle for duplicate content using your competitor’s keyword. Investigate alternate avenues – such as the use of longtail keywords – to generate new topic ideas that are just waiting to go viral. By offering new, creative, content-dense and SEO-rich articles, your site will have massive search engines crawling all over it in no time. Your next great blog idea is out there just waiting to be discovered! Annabelle Short is a writer/blogger and management consultant. She splits her time between London and Los Angeles. Annabelle has worked with many startup companies providing guidance and advice on different topics like marketing and startup financing. Moreover, Annabelle has experience in leading and managing different project teams. 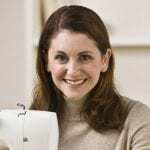 Annabelle is a mother of two, and in her free time she likes to sew and make crafts.